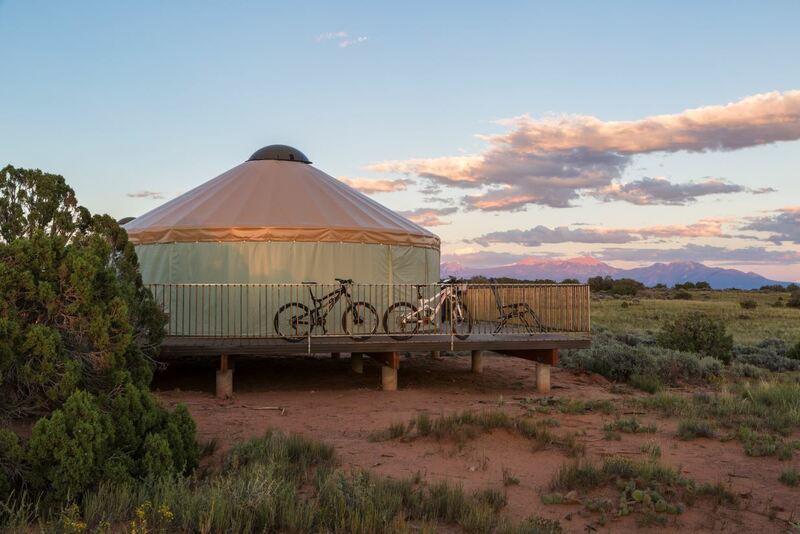 A perfect location for experiencing sunrise, sunset and a bit of seclusion, the Moenkopi Yurts offer a glorious camping experience up at Dead Horse Point State Park. 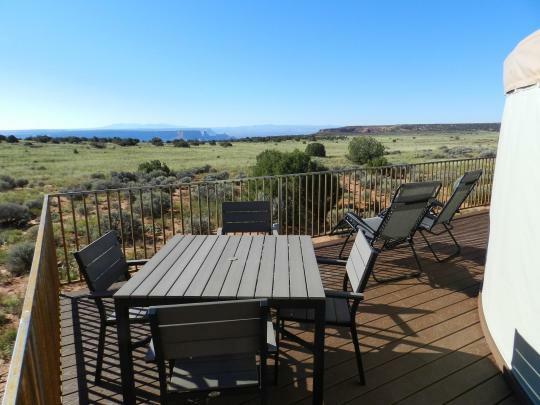 With sweeping views and a private spur to the Intrepid Trail System this yurt site can be your quiet spot of heaven while enjoying the Moab area. 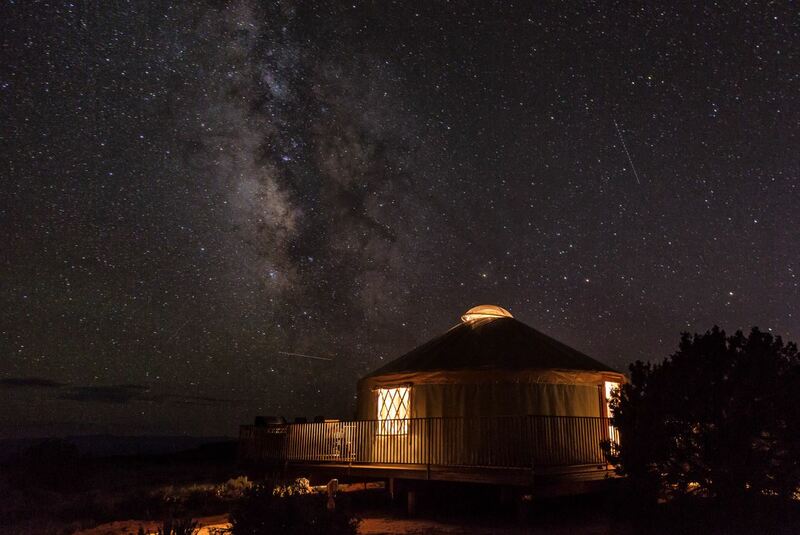 Each yurt of the five Moenkopi yurts contain sleeping space for up to six people, in the form of a bunk bed and a pullout futon couch. 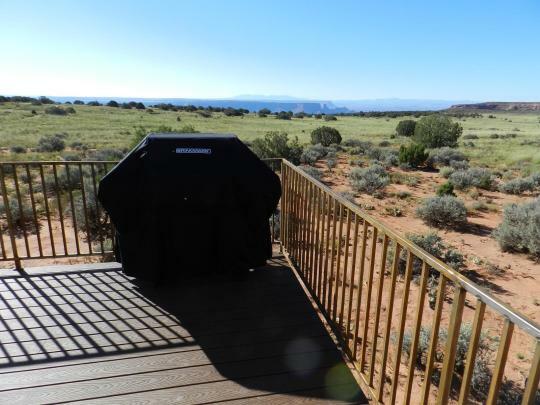 An outdoor propane grill allows for cooking on site and the propane is provided by the park. 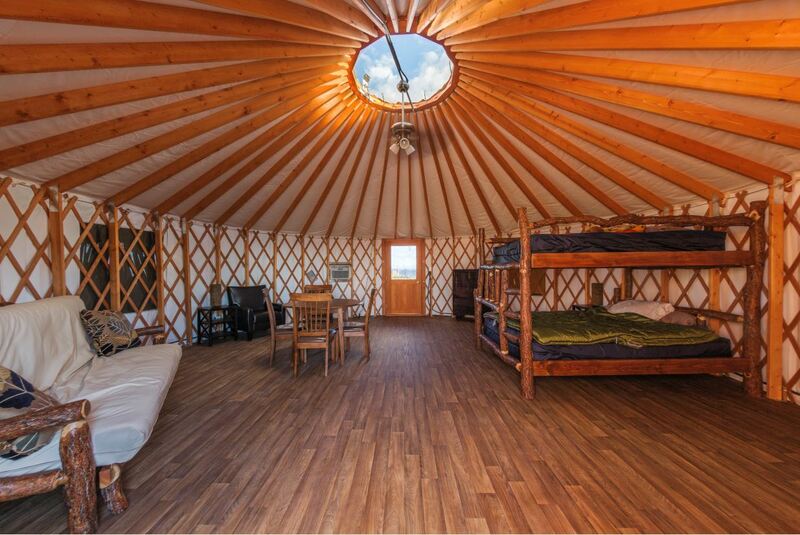 Heating, air conditioning, and electrical outlets are available, and tables are available both inside and outside of the yurt. 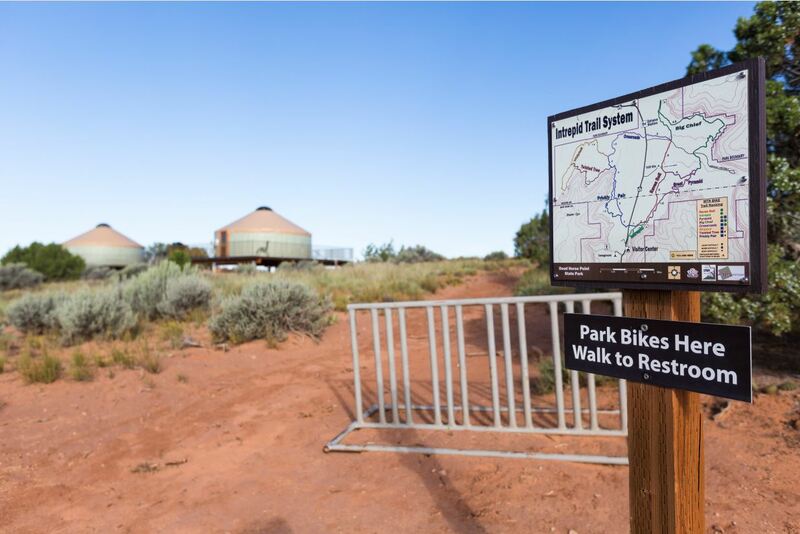 Modern restroom facilities are located within easy walking distance. Bedding is not provided.